An exhibit of Rodin's sculptures was circling the Western United States a few years back. In any gallery in which they were exhibited they snapped heads; there are few figures that speak with such authority or superiority, mute testimony, like the Easter Island figures, to as much effort and skill. And so the movie `Camille Claudel', in like fashion, snaps heads in its understated power and commitment to craft. Like Ansel Adams, Rodin stretched nature beyond what was possible  they both showed us something that was not there and in the rendering made representations so striking they had no precedent and thus set the bar higher for subsequent generations of artists. As history played out, the far less well known sculptor Camille Claudel made substantial contributions but her tie to Rodin (and eventually her personal decline) for a period in the late nineteenth century is the focus in this instance. In truth, her story demanded to be filmed; she stands a remarkable artist and most importantly the passion, talent and influence (inarguably on Rodin) she possessed went well beyond the `colorful' label oft attached to the gifted. Historically, this film is probably not a bad representation of how events turned in her life. There are many issues and turns, and years for that matter, the details of which remain unclear to this day. But in its entirety this is a marvelous interpretation of the record. And without doubt Isabelle Adjani was the right actor for the job. Stunningly beautiful, there are few women in history as arresting as Isabelle is; certainly Camille was not as lovely, but the resemblance is darned good as compared to actors chosen to portray historical figures in most movies based on true events and the people that were part of them. 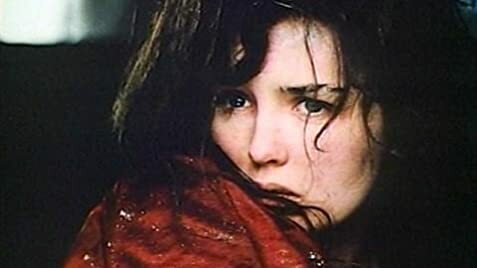 That Adjani brings some of the passion is certain. After all, bizarre, or at least socially unacceptable, behavior resulted in her eventual incarceration, so we know she was a handful. Many of the key points of her upbringing are addressed; her father's stern and inconsistent yet lovingly supportive position in her life (this is more forcefully impressed on us as the years progress); her mother's complete non-support and dismissal of all that Camille does; her relationship with her less understanding and conflicted brother. But it is the period when she meets and falls for Rodin (and he with her) and their consequent tumultuous affair runs its course that is actually the focus of the film. Gérard Depardieu's contribution as Rodin is probably the best work he has done. He looks (Rodin was 40 when he met the 21 year old Camille) very much as Rodin did in this period of his life. His love for his work, Camille and promoting his own career are his passions. We are lead through the minefield of his own making (his inability to get off a dime and marry Camille is their eventual downfall) and we are not totally sympathetic to his behavior. But this is the stuff of real life; as Seneca said, all art is but imitation of nature and both his and her own work convey their conflicted convictions. The musical score haunts us, as it should, right from the opening of the film. Almost never detracting, it instead correctly underscores certain points in the narrative; but it is the opening where we see Camille scooping clay from beneath a Parisian street (and this is a well-crafted sequence) where we feel the upsurge of powerful currents operating. The music heightens our interest as we determine exactly what we are seeing. Other nice touches in the film include an occasion where Camille and Rodin together study a model on a turntable, spinning the model about as metaphor for the emotional maelstrom gathering momentum. We also see a great moment when Rodin is caressing Camille's face, intercut with shots of him working clay into an as yet unidentifiable sculpture. What follows the breakup of Camille and Rodin is essentially a retrospective of the downslide of a remarkable talent. 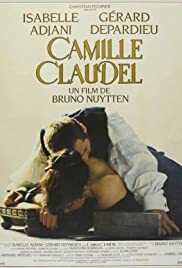 The story of Claudel's own diminishing output of work and the steady erosion of her inability to cope with reality is frightening in its telling. At a meeting with Rodin some time after they have parted company she remarks that she has changed, and offers that `Nothing that's monstrous is foreign to me'. And so she truly (and sadly) withdraws into a world of her own making.